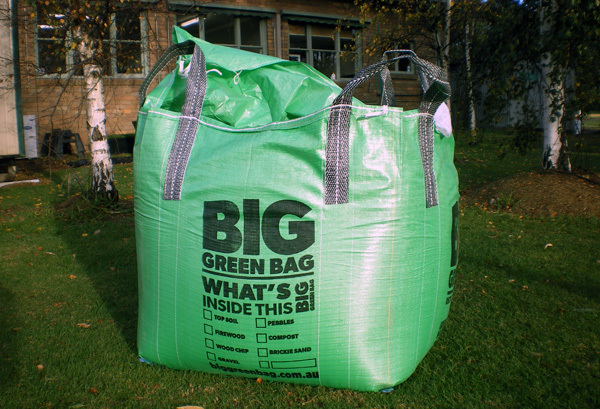 The Big Green Bag is filled with a quality screened sandy loam topsoil which is ideal as a turf underlay or for garden beds. 1m3 per bag. Covers 20square metres at 50mm thick. Reusable bag. Ideal for garden waste. One delivery from the one source for all of your new lawn requirements. No mess to clean up on the driveway or street. Can be placed neatly on the naturestrip. Quality product designed for lawns. Washed sand also available for topdressing lawns. NOTE: Currently only available in Melbourne metro.